This is probably the fastest I have rushed to post an entry to my blog after receiving nail mail! 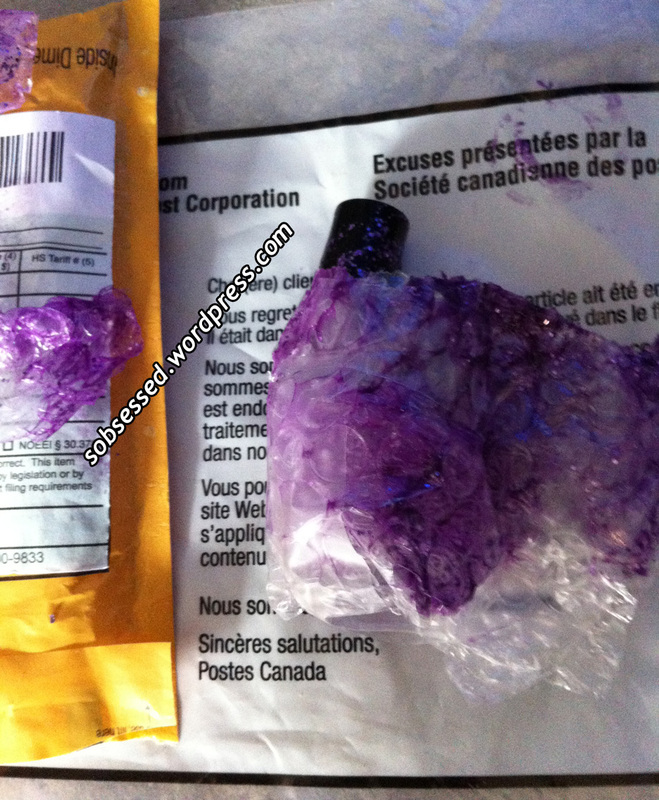 Umm… thank you, USPS / Canada Post? Thankfully there were two survivors! Rum Runner is. simply. stunning. It is the perfect berry jelly, with just enough glitter to look like a jelly sandwich. It has pink and holo glitter pieces with tiny silver specks blended in, and the polish has a lady-like, pretty quality to it. Not too much glitter for those who aren’t glitter fans. 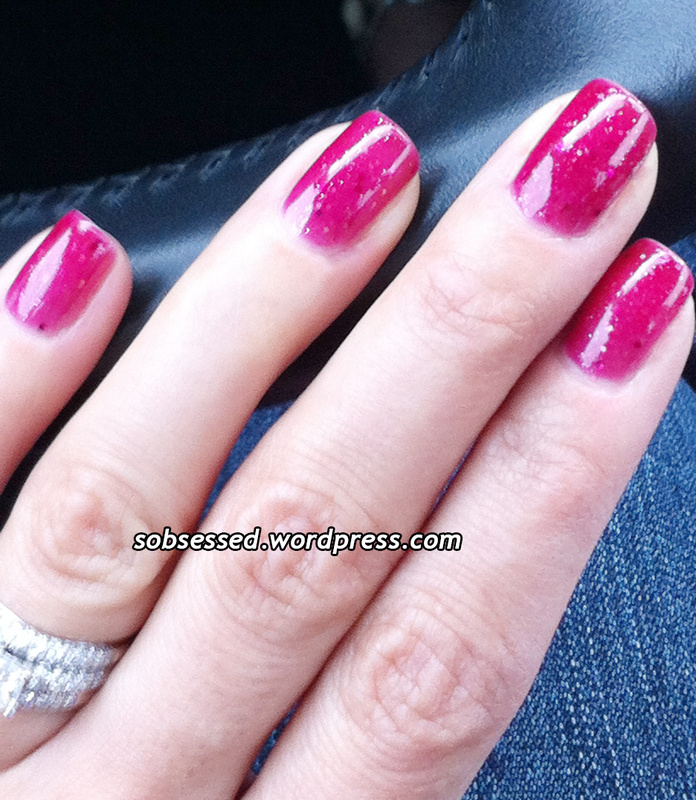 I used a base coat and 3 coats of Rum Runner in these pics, with a coat of Gelous and top coat. It looks like a juicy berry squished into a nail polish bottle with some stars grabbed from the skies and tossed in for effect. Just darling. And to top the beauty of these polishes, Rebecca, Aphrodite Lacquers’ creator, is such a sweetheart, patiently answering all your questions and shipping super-quickly. If you haven’t discovered her collection, join her Facebook page here or run to her Etsy store and admire those gorgeous pictures! I promise, you will not be disappointed! Wow! What a gorgeous color! Love the jelly. Makes the glitter look like it is floating! It really is!!! And the jelly is delicious and squishy!! That’s too bad about Grapetini,I imagine a pretty purple jelly! The one your wearing is also pretty!